Organizations need powerful servers that can deliver high performance - providing only necessary features. 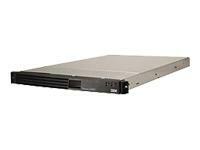 The IBM System x3450 provides maximum performance for a fixed investment, enabling organizations to run compute-intensive applications. Server Storage Bays Simple-swap 3.5"